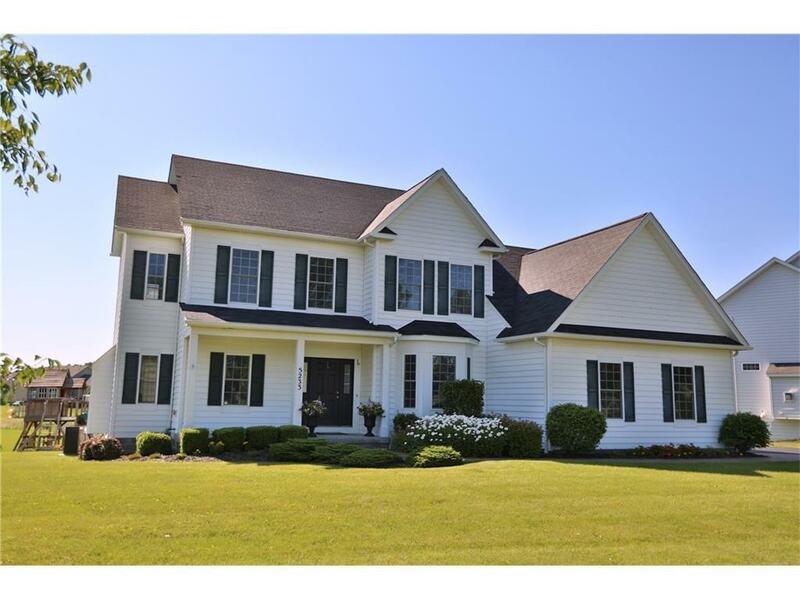 Your dream home awaits in the Lakewood Meadows Area in the Town of Canandaigua! This home was built in 2007 and within the past year has had a kitchen renovation with all new high end appliances, granite counter tops, and custom lighting. The open floor plan makes for comfortable living space. There is a family room with custom stone work and gas fireplace, a dining area off of the kitchen, first floor laundry and half bath. There are 4 bedrooms and 2 full baths on the 2nd floor, including a master suite. Very large basement with egress window. The exterior has been beautifully cared for with a stamped concrete walkway, patio, trex deck, and invisible fencing. Move in and enjoy!!! !